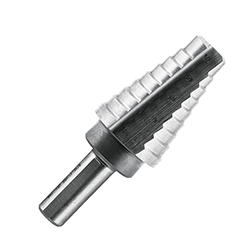 High speed steel step drills allow for drilling multiple hole sizes with one bit. Specially designed to automatically debur holes as it drills. A balanced double flute design minimizes chattering.